Can I Run MyBB 2.0? A simple plugin to check if your web host can support MyBB 2.0. A simple plugin to check if your web host can support MyBB 2.0. Please note that this test does not fully guarantee that a host is going to work flawlessly with MyBB 2.0. A list of known MyBB 2.0 compatible web hosts can be found on GitHub. 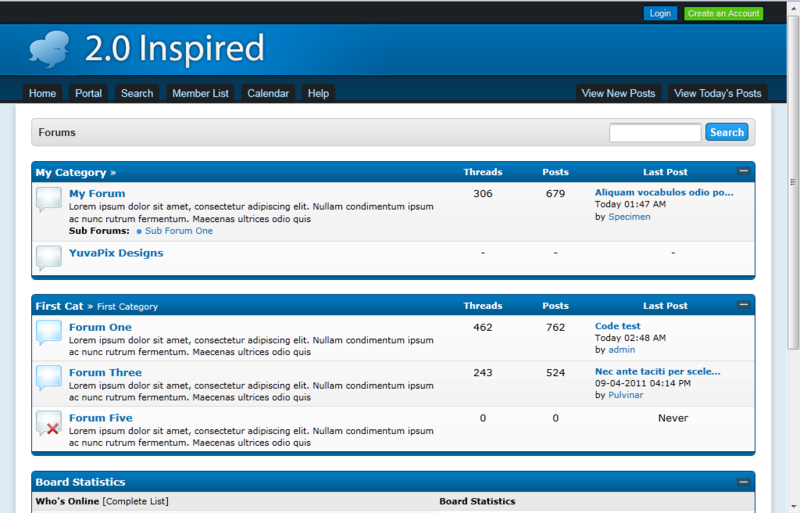 Upload the CanIRunMyBB2.php file to your board's ./inc/plugins/ directory. Navigate to your Admin CP and click Activate next to the plugin's name. Please note that this test does not fully guarantee that a host is going to work flawlessly with MyBB 2.0. The theme is based on orkut.